Apart from providing support and helping with movement, the joints are also responsible for forming the connections between the bones. Understandably, any damage to the joint secondary to injury or disease will not only interfere with movement but can also result to joint pain.Joint pain can also be attributed to numerous other conditions like rheumatoid arthritis, gout, osteoarthritis, sprains, bursitis, and other injuries. Pain of the joint can range from irritating to debilitating. Some will go away on their own after a few weeks (acute) while some linger from several weeks to months (chronic). However, joint pain is not one that should be taken lightly as even short-term ones can already impact your quality of life significantly. Regardless of the cause, joint pain is often managed through physical therapy, medication, and alternative treatments. OTC medications or prescription NSAIDs (nonsteroidal anti-inflammatory drugs) like ibuprofen (Motrin, Advil), naproxen sodium (Aleve), and aspirin have been known to provide relief. They are often recommended for cases that are moderate to severe (with swelling). For cases characterized by only mild pain (without swelling), acetaminophen (Tylenol) is often prescribed. For severe cases that do not respond to NSAIDs, a strong opioid medication will be recommended. Muscles relaxants – used to treat muscle spasms and may sometimes be used with NSAIDs to increase potency. Antiepileptic drugs and antidepressants – both work by interfering with pain signals. A substance present in chili peppers known as capsaicin has been known to offer relief for aches secondary to joint pain, arthritis, and other conditions. Capsaicin works by blocking substance P (responsible for transmitting pain signals) and triggering the release of endorphins (a chemical in the body which blocks pain). If oral and topical treatment alternatives do not provide the needed relief, a steroid medication injected into the joint (every 3 to 4 months) might be recommended. Steroid injections are typically used to treat patients with joint disease, arthritis, and tendinitis. A physical therapist can help improve motion range, stabilize the joint, and strengthen the muscles situated around the joint.Physical therapists will make use of several techniques including electrical nerve stimulation, manipulation, heat or cold therapy, and ultrasound. If you are overweight, losing the excess pounds can help take some stress and pressure off the joints. If you wish to exercise to shed off the extra weight, opt for low-impact exercises so you won’t end up irritating the joint further. Swimming and bicycling would be great options. In most cases, short-term joint pain will respond to home care treatment. One method of treating joint pain at home is known by the acronym PRICE. (P)rotect the affected joint with a wrap or brace. (R)est the affected joint (for the time being, refrain from doing activities that will cause pain). (I)ce the affected joint for 15 minutes (several times daily). (C)ompress the affected joint with the use of an elastic wrap. (E)levate the joint (above the heart level is recommended). Applying ice to joints that are painful can help reduce both the inflammation and the pain. However, if there are spasms around the joint, using a heating pad would be more advisable. 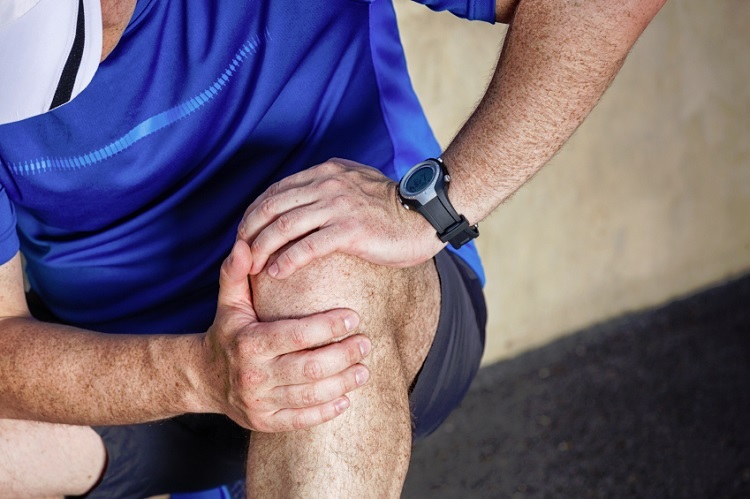 Some research indicates that chondroitin and glucosamine supplements can help improve function and ease joint pain. The aforementioned substances are known components of a normal cartilage (tasked to protect the joints and cushion the bones). Chondroitin and glucosamine supplements are available in powder, tablet, capsule, and liquid form. While the supplements do not work for everyone, many are willing to give it a try as they have no known side effects.